Berlin: Several major European carriers have announced that they will stick to their decision to suspend their flights to Israel despite the lifting of a flight ban by the European Aviation Safety Agency (EASA). Germany's largest airlines Lufthansa said yesterday it extended its suspension of flights to Tel Aviv's Ben Gurion Airport until Friday and cancelled all 16 flights of the Lufthansa group scheduled for the day from Frankfurt, Munich, Cologne, Zurich, Vienna and Brussels. This decision was taken after a risk assessment of the situation in Tel Aviv, Lufthansa said in a press statement. All flights of Lufthansa and its subsidiaries Germanwings, Austrian Airlines, Swiss and Brussels Airlines are affected by the cancellation, the statement said. Germany's second largest carrier Air Berlin extended its suspension of flights to and from Tel Aviv until mid-day on Saturday in view of the current security situation in the Israeli capital. The airlines said in a press statement that it has been working closely with the authorities and permanently evaluated the situation. Both Lufthansa and Air Berlin have offered their passengers affected by the flight cancellations possibilities to receive refund for their tickets or to make new reservation. 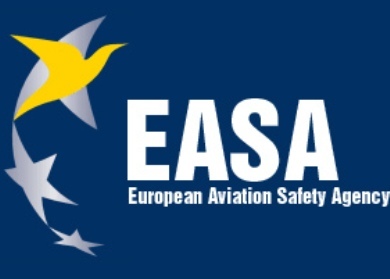 The EASA said yesterday that its earlier warning on flight operations to Ben Gurion Airport in Tel Aviv has been revised on the basis of information provided by the Civil Aviation Authority (CAA) of Israel and in consultation with the US Federal Aviation Administration (FAA).